EJ Lockhart-Mure tells the story of the Wasbies, the women of the Forgotten Army, in a new book. Front Line and Fortitude is based on, and expanded from, Maria Pilbrow’s original diary – one of six Wasbies to receive an MBE. Maria’s niece, Elizabeth Lockhart-Mure discovered her diary after Maria’s death. During World War II, one of the largest British Commonwealth armies ever assembled fought the Japanese in South East Asia, first on the border between what was then British India and Burma and then pushing deeper into Burma itself. Supporting the Fourteenth Army were an intrepid group of women known colloquially as the Wasbies – the Women’s Auxiliary Service (Burma) or WAS(B). This is the story of how Maria Pilbrow faced menace and heartbreak yet coped with fortitude and determination. She survived the jungle horrors and, after the war ended, again found love and the security she craved only to have them torn away once more. She was forced to rebuild her life anew which she achieved with the friendship and support of her Wasbie friends. There is very little information about the work of the Wasbies and no full-length book has been written which gives an account of their exploits – until now. 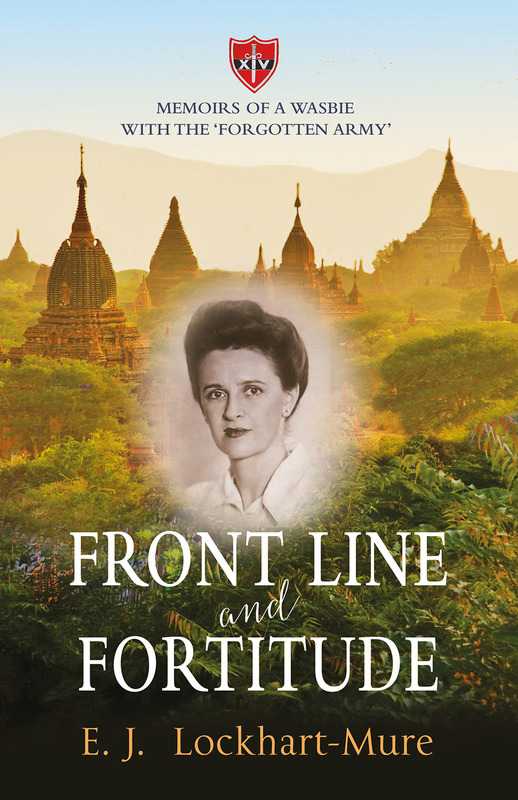 For the first time in book form Front Line and Fortitude provides a personal record of these brave women and their contribution to the war effort.